Site : the village of Morey is located between Gevrey-Chambertin and Chambolle-Musigny. 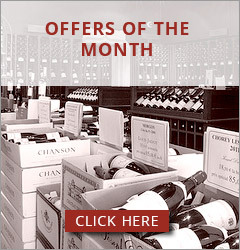 There are five Grand Crus and twelve Premier Crus in this relatively small appellation. History & tradition: in the shadow of its illustrious neighbours (Gevrey and Chambolle), Morey-Saint-Denis did not become a separate appellation until 1935 ("Appellation d'Origine Contrôlée" laws). Soil : a mix of chalky marl with broken-up white stones from the limestone underlayer. Plantation density : 10,000 vinestocks/ha in order to extract as much as possible from the terroir and limit the production of each vine stock. Yield : 42 hl/ha - purposely low, in order for the grapes to reveal every nuance of the terroir. Maceration : maceration and vinification take 2 to 3 weeks indigenous yeastsmaceration and fermentation temperatures under total control. Origin of the wood : French oak forests Weathering of the wood: Joseph Drouhin insists on total control of the weathering for a period of 3 years, one of the contributing elements to the elegance of the wine. 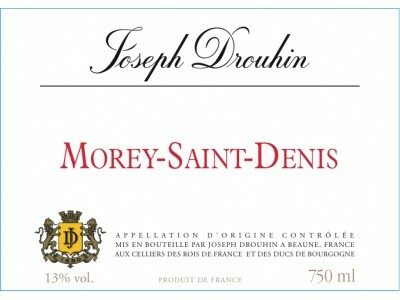 Tasting note by Véronique Boss-Drouhin "A really great wine, appreciated by the Burgundy connoisseur for the diversity of its aromas and flavours.It has a beautiful ruby color, a seductive nose dominated by aromas of wild cherry and spice, evolving towards leather. A certain chewiness in the mouth, with fine and noble tannins providing the structure. Ample and fruity aftertaste". Serving Temperature : 16°C (61-62°F). Cellaring: 3 to 15 years.